Cyber Technology Group, Inc. (CTG) is a professional Information Technology firm that has been providing cost-effective and proven information system services for nearly a decade. CTG is a progressive company respected by Fortune 500 companies for providing the highest quality IT consulting services and development, as well as pre-screened permanent and right-to-hire employees. CTG specializes in fulfilling clients' overall needs rather than focusing on one specific technology. 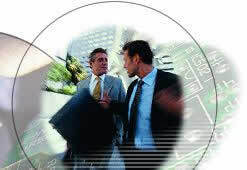 CTG understands the nature of both rapidly-changing business needs and emerging technologies. This parallel comprehension translates into unique solutions that address the all-important business perspective as well as the technology that drives it. CTG's clientele has been built on loyalty, trust, and performance. Strong relationships have proved valuable for companies that request assistance in one area and then further utilize CTG's services in another. The reason for this is CTG's commitment to the customer and to excelling at cost-effective and all-encompassing solutions. Contact us now to get a tailor-made IT solution for your business.